Fully qualified, insured, licensed A-Grade electrician, registered with Energy Safe Victoria, AUSTEL, ETREC, over 10 Years electrical experience in 24hr emergency and same-day works. Up to date police check, I do not smoke, do not drink alcohol, and do not use foul language. I always clean up after each and every job. To make things even better I keep over 10,000 parts in my van so if you want it, chances are I have it. I guarantee you’ll be happy with the service i provide and I offer a lifetime guarantee on all my workmanship. So rest assured you are in safe hands. Don’t hesitate to call ME at ANY time, night or day, its never to late or too early, I will always come to you immediately. So call me now on 0421770397. We understand the need for personalised quality service so we guarantee the electrician sent to you will be your electrician from us. Any questions, follow ups, future work you have just call his mobile direct and he will attend to it immediately . All our electricians are fully qualified and licensed A-Grade electricians. They are also registered with Energy Safe Victoria, AUSTEL, ETREC, and have a minimum of 10 Years electrical experience. All have police checks, do not smoke, do not drink alcohol, and do not use foul language. They DO clean up after each and every job. 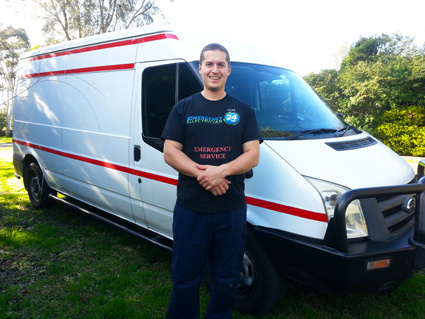 When customers of our emergency electrician service in the City of Greater Dandenong tells us what they like most about dealing with our service, the quality that surfaces most is our reliability. Experiencing an unexpected electrical problem can be frustrating enough without hiring a repair service that doesn’t show up on time or shows up and doesn’t know what they are doing. Customers are sure that they can count on us to be reachable round the clock when they are faced with an electrical emergency. They rely on us to dispatch one of our skilled professional emergency 24/7 electricians who shows up on time, quickly diagnoses the problem and gets to work correcting it with speed and precision. The City of Greater Dandenong, situated in the southeast suburbs of greater Melbourne, is considered one of Victoria’s local government areas. It was created in 1994 when portions of the former Cities of Springvale and Dandenong merged together. Today it encompasses an area of 130 km which is home to more than 137,000 residents. The City of Greater Dandenong has the distinction of being one of the most culturally diverse areas, with slightly less than half of its population non-English speaking immigrants who have relocated to this region from such countries as Sri Lanka, Cambodia, Vietnam and China. Over the next 20 years, authorities predict that an additional quarter of a million people will relocate to this fast growing municipality. The City of Greater Dandenong provides employment opportunities for more than 70,000 Australians and immigrants, thanks to the more than 7100 businesses which are headquartered here. Manufacturing is among the top industries, with 40% of the manufacturing taking place anywhere in Victoria happening in the City of Greater Dandenong. Healthcare and retailing are two other major employers. The key suburbs of Greater Dandenong include Dandenong, Keysborough, Lyndhurst, Noble Park and Springvale all situated between 32 km and 36 km southeast of Melbourne’s Central Business District (CBD). The City of Greater Dandeong offers its residents the choice of three hospitals, one TAFE campus, 23 primary schools and 9 secondary schools all located within its boundaries. Among its many points of interest are the Noble Park Train Station, the Drum Theatre and the Springvale and Dandenong Libraries. Emergency Electrician 24 Hr is registered with Energy Safe Victoria , ETREC and AUSTEL, offering 24/7 Service that includes Emergency Electrical Service, Switch Board upgrades, and range of of other services. We offer complete package of electrical services, whether you are looking for an extra powerpoint or more complex electrical work and is owned an run by Luke. 100% Australian owned and operated.